Interstate 70 in Columbia, Mo., between St. Louis and Kansas City. The Missouri Department of Transportation says it will propose turning the stretch between St. Louis and Kansas City into a toll road. 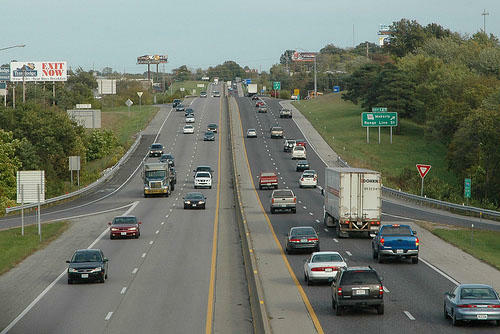 In Missouri, 27 percent of carbon emissions are caused by the transportation sector, according to a national report. Local environmental advocates are using the findings by the nonprofit think tank, Frontier Group, to argue that providing more carbon-neutral transportation options could improve public health and safety. The report includes multiple policy recommendations to reduce transportation's impact on the environment, including incentives for consumers to purchase electric cars and creating more paths for pedestrians and bikers. Frontier Group also found that 88 percent of government transportation spending in the last 60 years funded highway construction and aviation. Environment Missouri wants policymakers to redirect some of that funding towards public transit and other transportation infrastructure that has a low environmental impact. "We have solutions, now we just need the right policies to make it happen," said Taylor Hale, campaign organizer with Environment Missouri. If steps are taken to address greenhouse gases emitted by vehicles, it could have a profound impact on public health as well, according to Roger Lewis, an environmental health professor at Saint Louis University. He said the greenhouse gases generated by automobiles contributes to the poor air quality in St. Louis and other areas. "It adds to asthma, bronchitis, cardiovascular disease, so it makes it harder for those people who have respiratory diseases to live in these communities," Lewis said. Lewis added that he'd like to see more mass transit connection between the northern and southern parts of St. Louis. Some believe that the streets need to be safer in order for the public to opt for transportation that's not car-oriented. Marielle Brown, director of policy and outreach at Trailnet, works on efforts to promote walking and biking in the St. Louis region. "Until we're making it the easiest, safest and most convenient option, we're just going to have people getting into their cars, driving around in a little armored box because they're afraid to walk and bike," Brown said. The city of St. Louis has made some progress in increasing traffic safety. Officials passed a "traffic calming" bill in August to install more speed bumps. Tell Eli what science issues matter most to you. Monsanto, a global agricultural company headquartered in St. Louis, says it is taking a leadership role as the sector deals with climate change. Monsanto plans to make all operations carbon neutral by 2021. Chief Executive Officer Hugh Grant says essentially the company wants all of its systems to store, offset or sequester as much carbon as they release. 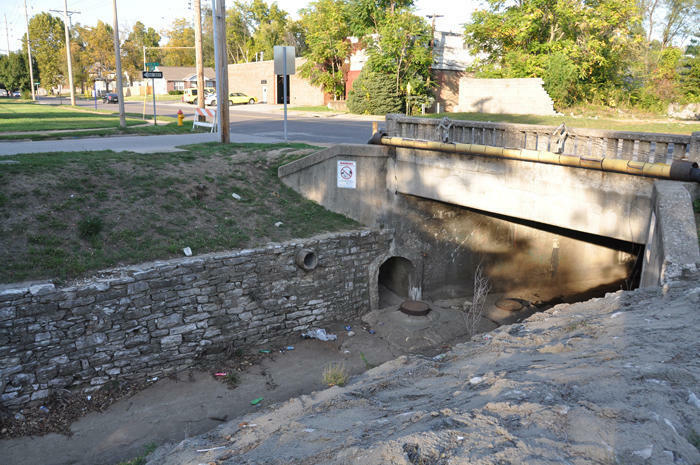 St. Louis is among the U.S. cities where millions of gallons of sewage has flowed into rivers and streams, according to a new study. The St. Louis region saw as much as 200 million gallons of sewage overflow due to the December floods, according to research released today by Climate Central, a science and news organization. It concludes that St. Louis and other cities that have trouble handling heavy rains need to do more to address the problem.